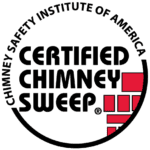 A leak in your chimney can come from a cracked or defective chimney crown, a missing or defective cap, cracks in mortar joints, or faulty masonry construction. Water can be the arch nemesis of a chimney and can single-handedly bring a great chimney down. Water works its way into the mortar and corrodes it away, leaving your chimney weak and vulnerable to damage. Protecting your chimney from leaks can be a laborious task as your chimney is exposed to all of the elements. Constant freezing and thawing put stress that can lead to cracking, leaks and structural damage. If you know that your chimney is leaking contact us today so we can waterproof your chimney. That way, when the weather gets bad you can keep your family warm and not worry about expensive repairs.